Genuine Fargo 44281 YMCKOK Starter cartridge: Full colorribbon with two resin (K) black panels and clear (O) overlay panel. Included in the Fargo 44281 refillable starter cartridge are1 YMCKOK color ribbon, 1 refillable cartridge and 1 cleaning roller. 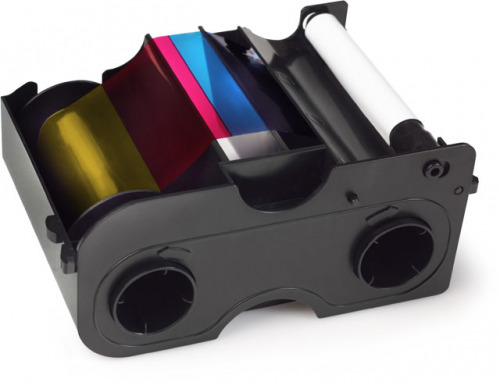 Cleaning roller is included to ensure top performance whilesimplifying printer maintenance. Prints 200 images per ribbon. Compatible with the following Fargo printers: Fargo DTC400and the DTC400e printer series.